So it’s May again, and that means the Old Bus Depot Markets has had their annual Celebration of Wool. 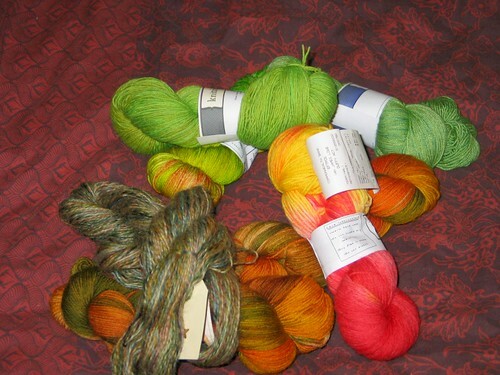 This year I got a lot of bright greens and some autumnal tones. 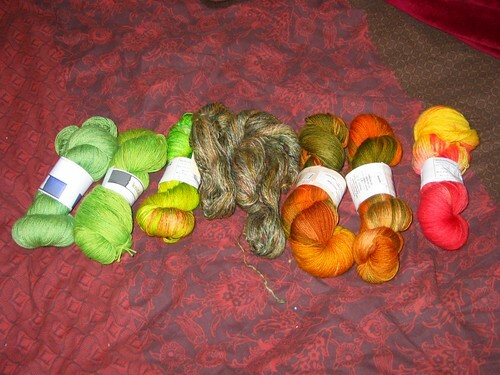 Very importantly, I set a budget for wool, and stuck to it. Even if I did get some money out on the day so I could eat lunch and buy some lovely things to take home from the food section, including a pomegranate vinegar which is just right. 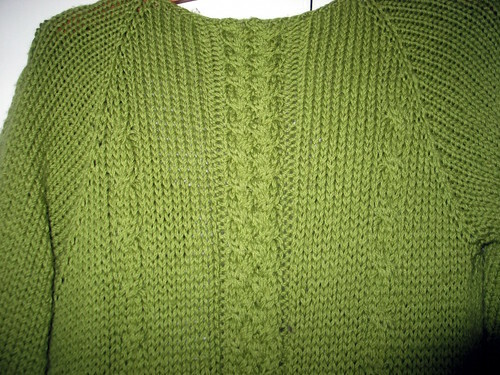 One of the reasons I wanted so many bright greens is that I have just about completed the finishing touches on the cardigan coat I started knitting right about this time last year. All I need to do now is attach the hood, and make a belt. I really ought to update about the projects I’ve actually finished, but that requires taking photos. One day it will happen.